The Wooden Dummy is the ultimate in Wing Chun training aids helping you to increase power, speed, accuracy and conditioning. Using this exclusive DVD to aid your practice you will soon see the benefits of Wooden Dummy Training. Utilising movements from all three Wing Chun forms the 116 dummy movement routine is the first step in putting your forms into real time practice. Learn about body positioning, balance, weight transfer, as well as different areas to stick to and strike your target. 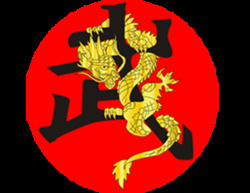 Also included is the next stage in Wing Chun application where the Wooden Dummy techniques are transferred into real time, and real life situations. After practicing on the Dummy this training can be done harder and faster as a result of the conditioning received. The DVD is presented live by Master Wong, taking you through 3 hours of training footage one step at a time. It uses the latest in film technology to bring you clear, concise movements and instruction in both the forms and techniques surrounding the Wooden Dummy. 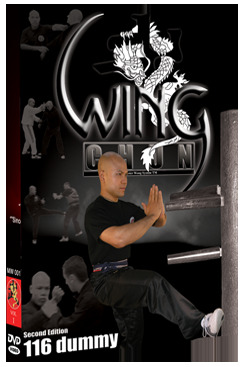 The DVD is specifically designed to aid your Wing Chun training and progress you to a higher level.